Celebrities splurge their earnings on a lot of things: cars, houses, jewelry, visiting choice holiday spots, exotic dishes and even on charity causes for some, still, the list doesn’t end here. Being that they are public figures and are constantly under the scrutiny of the prying public, there is this necessity to always look their best, retaining that sparkle we first saw in them despite the adverse effects of aging or a loss of their good looks as a result of an accident. This then makes a new inclusion into the list of what celebrities typically spend their monies on; maintaining their looks with whatever money can buy and by extension going under the knife. As expected, how much they spend on their cosmetic surgeries are often far and beyond what an average person can afford and for this reason, we have compiled this list of the most expensive celebrity plastic surgeries. Celebrities undergo plastic surgeries for different purposes as inferred above, one of such reasons is the unavoidable effect of aging on the human body. It is in this regard that American actress Meg Ryan entered this list for having had one of the most expensive celebrity plastic surgeries. Meg shocked everyone when she appeared on the Tony Awards in June 2016 no longer looking like the actress we once knew. It was observed that she had fat transfer to her cheek or face fillers which however seemed too much as it made her eyes look small when she smiles. In addition, the actress spotted a different looking nose which is an inkling that she must have had some sort of rhinoplasty, to add to this, her forehead looked injected with botox just as her lips looked a lot fuller. Meg’s face also looked unnatural suggesting that she had some sort of laser skin resurfacing treatment. For all these, it was reported that the actress doled out over $11k. Again, when age comes beckoning, Hollywood stars start scampering from mother nature, but how far can they really run and how certain can they really fend off the demands of wearing a new look as aging requires? Lara Flynn Boyle must have pondered over this as she dreads aging out of roles in her acting career. As a last resort, rather than maturing into taking up older roles and leaving out younger roles deserving of young actresses, she accepted to part with a decent $28k as long as it could still keep her as the cynosure of young female acting roles. Well, her money is long gone and she was given a new look. While many opine that her new look merits a mention on our list of celebrity plastic surgery disasters, we will leave you to your opinion as to whether her brow lifts, rhinoplasty, facial fillers, and, lip augmentation were worth the money. Nevertheless, her spot here on the list of most expensive celebrity plastic surgeries is not under contention. 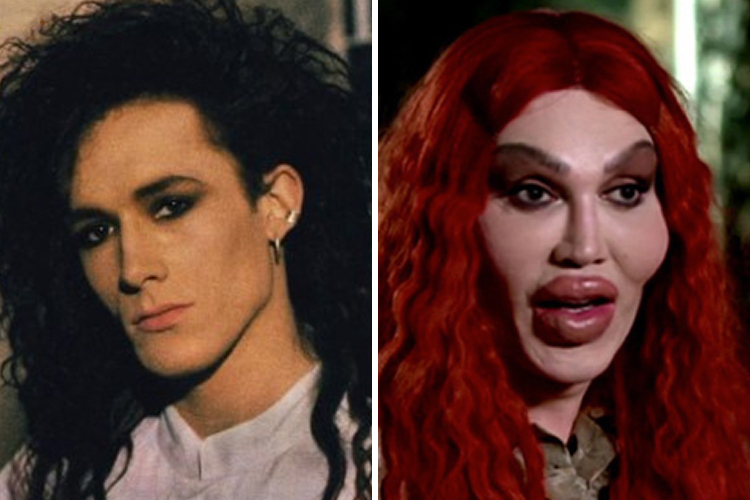 Though he is no more, Pete Burns has gone down in history for his love of plastic surgeries and the whopping 38 grand he spent getting various cosmetic works done on him. For this, the late musician couldn’t have missed a mention for having had one of the most expensive celebrity plastic surgeries. Pete Burns’ case becomes a lot more interesting when we tell you the reason he went under the knife in the first place. Pete was a man who grew to become a successful Port Sunlight, Cheshire born musician with a specialty in Pop music. He disclosed that he felt like a woman trapped inside a man’s body for which reason he began investing in the birth of his feminine look. While he lived, his look got worse off with every cosmetic work he got until he went to be with his maker in 2016. For someone transitioning from male to female, not just any plastic surgeon can work on such person and for this, Caitlyn doled out about $60, 000 to look and feel like the woman she claimed had always been inside her. Being a successful athlete, the news of her transitioning made headlines and today, her new gender identity has contributed to her family being eternally famous – at least on earth. Cait Jenner has had almost every part of her body worked on in a 10 hours feminization process which gave her a female face, reduced jaw bone, removal of her Adam’s apple and a grand breast implant. Her’s is not just one of the most expensive celebrity plastic surgeries for its money’s worth but also for costing her, her marriage with Kris Jenner. Barry Manilow is one American singer-songwriter, musician and music producer whose health has been a source of concern to many of his fans. The musician has had several surgeries at various times and for various reasons but the reason for his inclusion in this list for having had one of the most expensive plastic surgeries is totally different from that of the others. The Brooklyn, New York-born musician was reported to have walked into a wall accidentally and as a result got his face disfigured. To fix it, he spent about $70k on a lower and upper facelift and there are suspicions that he also had a nose job and botox injections. The facial job has left him the way we see him today and to be fair, Barry doesn’t look terrible or radically different from how we have always known him. With two nose jobs, eye lift, three hair transplants and teeth veneers, Christopher Maloney found his confidence again after trolls abused and even threatened him both online and offline while he was on The X-Factor show in 2012. Prior to going under the knife, the music star was depressed and was losing focus at the same time. Therefore, being that he could afford it at the time, Maloney spent close to $92k to get his looks improved. He did get what he desired but developed complications and was rushed to the hospital for DVT [deep vein thrombosis] after coming back to the UK from Poland where he had the surgery. Nevertheless, since making a full recovery in 2017, Chris has got himself endeared to many people with no more threat from trolls. Sharon Osbourne is one celebrity who has never failed to admit that she had plastic surgery, she even went as far as disclosing how much she spent for each and for what purpose/s she had them. As contained in an interview she granted to The Sun in 2013, the television host, presenter and The X factor judge disclosed that she has had lots of skin stretching and peeling, in addition to undergoing a total removal of undesired and surplus skin. Before she started giving attention to her face, the celebrity first had liposuction because she was overweight. This cost her about $185, 000, in addition to the numerous other cosmetic jobs she has admitted to, the total amount she has spent on plastic surgery so far is about $400, 000. With this amount, Sharon ushered us into a sub-list of stars who have had the most expensive celebrity plastic surgeries. These are people who have spent as much as someone’s net worth to have one cosmetic makeover or the other. Is the end result really worth it? Look closer and decide for yourself. Demi Moore surely got her money’s worth when she splurged half a million on cosmetic surgery. But what exactly did she do? Moore‘s interest with plastic surgeries as a panacea to aging has to do with retaining her shine in an industry where good looks and of course talent sells faster than the basic things of life. The actress through various cosmetic surgeries puts back to shape every part of her half a century old body that begins pointing down to mother earth. In all, Moore’s surgeons have done a good job and will probably keep doing so as long as she can foot and expand on her record half a million plastic surgery bill to be listed for having had one of the most expensive celebrity plastic surgeries. 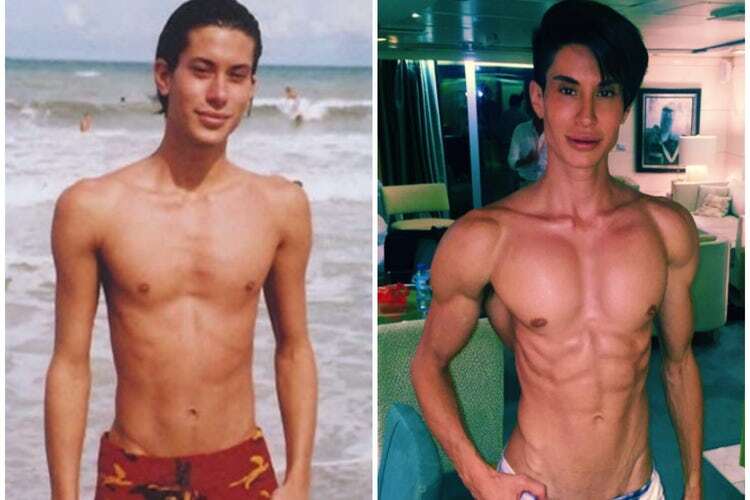 Justin Jedlica is not the typical everyday celebrity that comes across our mind casually on a daily basis as we go about our lives. But if you have been doing some research into people who plastic surgeries made famous, chances are that you might have heard about him or perhaps seen his picture in one place or the other. In summary, Justin’s seemingly masculine physique is all pieces of plastic stuffed under his skin. His obsession with plastic surgeries arose from his desire to look like the Ken doll, ideally, to be a human Ken doll. This has seen him go under the knife in 550 procedures to the tune of over $560, 000 as reports have it. Nearly every part of his body that is publicly visible on his pictures has been worked upon and from what we gathered, he is not yet done. The human Ken doll said he wants to be 100% plastic. Well, no one is struggling for this space with him but just so you know, he is not alone in this trade. His likes include Sophia Vegas, Rodrigo Alves, and Pixxe Fox. Possibly, more may take after them. Cher is a septuagenarian but looks very much younger, this has succeeded in setting her apart as a perfect epitome of what a good plastic surgery should look like. Her cosmetic procedures reportedly include a nose job, eyelid alterations, chest augmentation, and botox injections. Glamour magazine reported Dr. Nick Milojevic as having the notion that she takes regular Botox injections to reduce the wrinkles on her face as well as her frowning lines. The first choice cosmetic doctor also added that for her skin to look so good, the seasoned singer uses dermal fillers in addition to doing laser rejuvenation of the skin, using the best skin care product money can buy or perhaps she does blood plasma treatments. 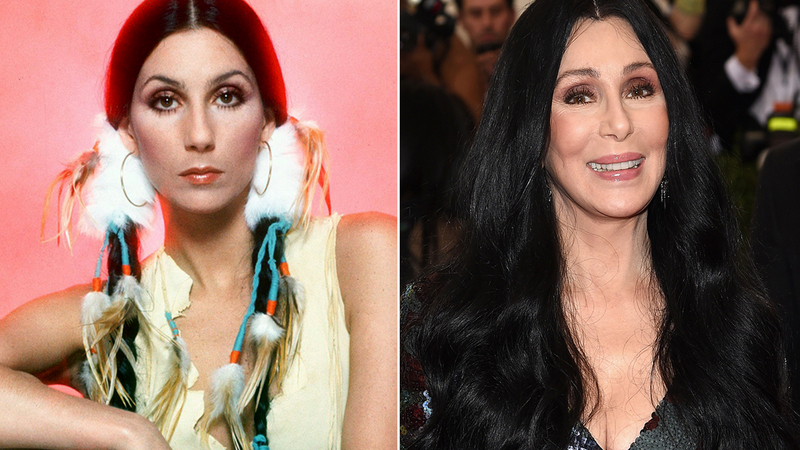 Having spent a million dollars to retain her shine if not making her look better, Cher unquestionably deserves a befitting place on this list of most expensive celebrity plastic surgeries. Kylie Jenner is the second of the Jenner family member to be featured on this list of the most expensive celebrity plastic surgeries, this aptly guarantees that they are well represented. However, while Caitlyn Jenner had a cosmetic procedure that saw the former athlete emerge a woman from being a man, Kylie’s surgeries have not seen her make a similar transition and probably won’t. The billionaire admitted to having had lip fillers as a result of a date telling her that he thinks she might not be good at kissing. In addition, there are insinuations that she possibly had breast implants, botox and some other cosmetic adjustments made on her but she has not yet clarified on this. In all, whether it was just lip fillers or in addition to the others, Kylie’s cosmetic surgeries reportedly cost her about $2 million. This isn’t really a lot of money for someone who is worth close to a billion dollars. On a list like this our 12 most expensive celebrity plastic surgeries, you would have been anticipating to see the best as one which cost the highest. Alas, the reverse is the case, in fact, we would have screamed abort! abort! if not that we know you are safe from your reading device. Jocelyn Wildenstein today stands as a real-life warning that once botched, one can never be un-botched. She reportedly began going under the knife to look like a cat in other to please her then-husband Alec N. Wildenstein who had a penchant for big felines. Jocelyn then repeatedly had many surgeries to the tune of $4 million but is far from looking admirable. Nevertheless, the socialite is pleased with her looks which is top on our ranking of expensive celebrity plastic surgeries.